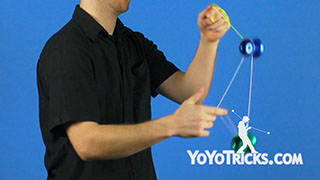 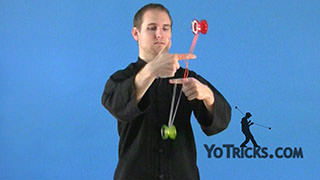 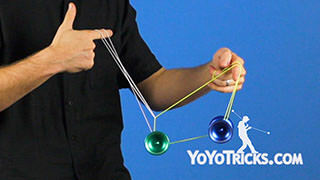 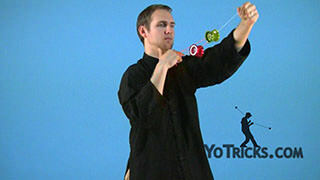 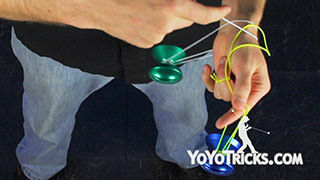 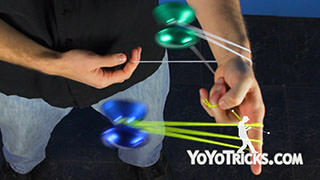 Learn the 3A Yoyo Trick Gunslinger. 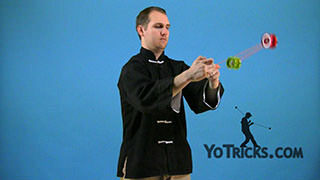 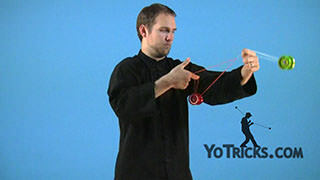 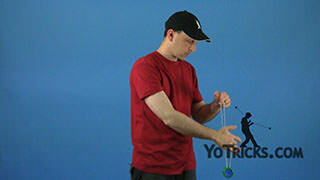 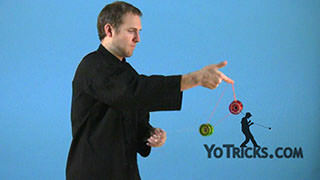 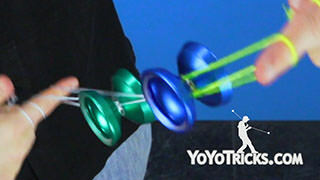 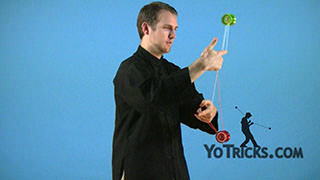 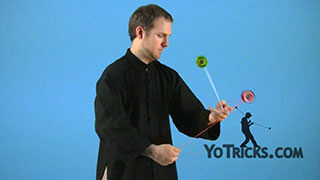 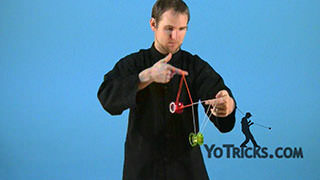 Gunslinger 3A Yoyo TrickIn this video I am going to teach you the Gunslinger and some 3A binds. 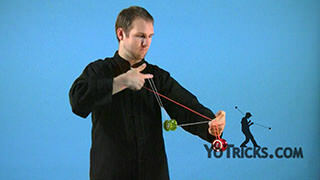 The Gunslinger is an important technique for 3A because it is used at the beginning of tricks and also for transitions. 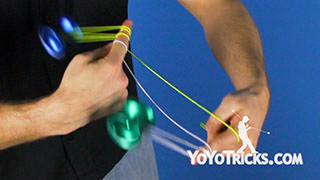 It can even be used to bind. 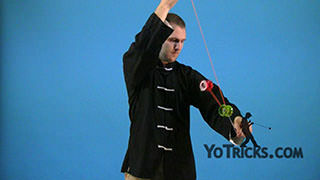 You can do the Gunslinger two different ways: to the inside and to the outside. 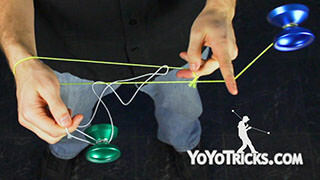 To do it to the inside, just put your index finger on the inside of the string. 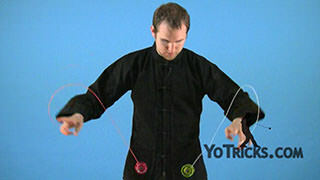 You are going to do a whipping motion to the inside of the yoyo, catching it with the string furthest away from your body. 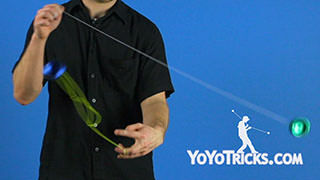 To whip to the outside, you are just going to put your index finger on the opposite side of the string, so on the outside. 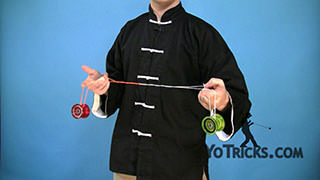 Whip to the outside of the yoyo, again, catching the yoyo with the string furthest away from your body. 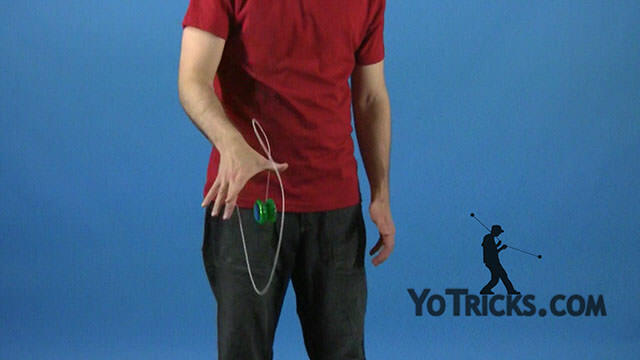 If you want to bind you can do that from the outside Gunslinger, just by tossing the yoyo to the side and bringing the yoyo back to your hand. 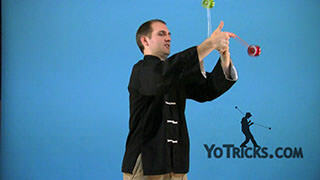 You may have noticed that the Gunslinger is a lot like the Plastic Whip, which can be used in a similar manner to bind from the front-mount, which you can learn in the Plastic Whip video.